Hello fashionistas! It’s Sophie here! I don’t know what it’s like where you are right now, but the weather’s been warming up just a smidgen here in Canada – no piles of snow or igloos where I live! And I’m very much looking forward to spring. As the days go by, I need to constantly poke Michelle to remind her that I need an outfit change at least once a day. If she gets to change her clothes daily, why can’t I? She doesn’t seem to understand my credibility as a dolly fashion blogger is seriously impeded by her not buying me the latest fashions or helping me out by taking photographs of me on a daily basis. She’s horrible and won’t let me succeed in life. 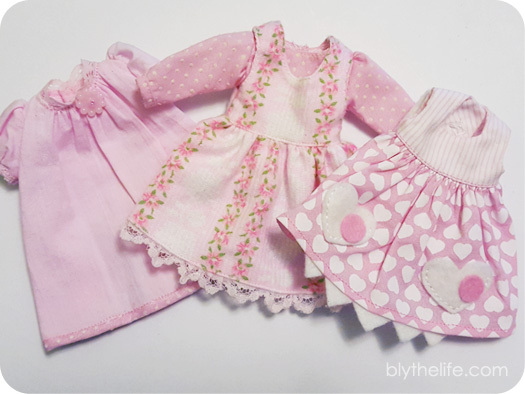 A sampling of pink from Rosiee Gelutie, Endangered Sissy, and Button Arcade. But besides that, I guess she’s okay. My goal for spring is to wear more florals – anything light and airy is a major plus because they evoke a more spring-like quality. And I think pink will be very in this season (please do not tell Eden that). That and wearing more cute shoes, but I need new ones. Nothing say spring like a good hair of new shoes (take note, Michelle!). 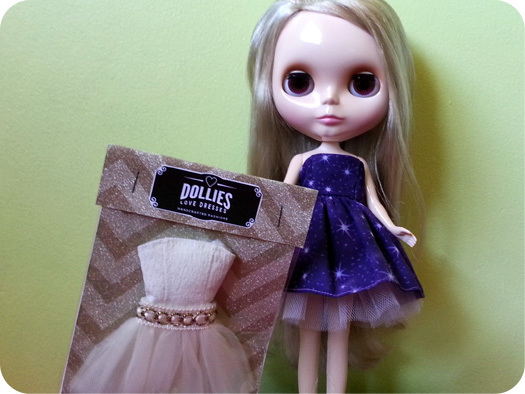 It’s not cheap being a dolly fashion blogger, and is certainly not for the faint of heart. I recently got a hold of Michelle’s credit card and did some shopping – like any good fashionista would do. I’m still waiting for things to arrive in the mail, but they will soon enough. A frock a day keeps the Sophie happy! Sophie is a mostly stock Cappuccino Chat that came to live with me in June 2009. She loves shoes, new clothes, playing with her hair, fashion, magazines full of fluff and shopping. 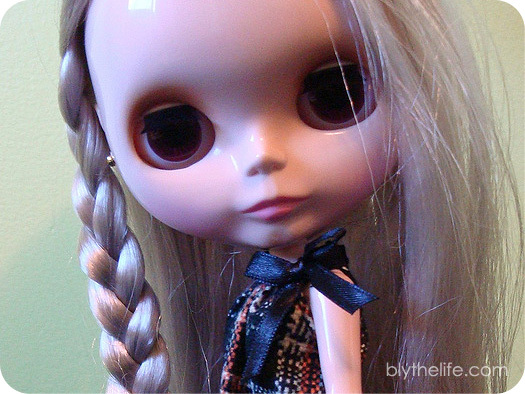 She aspires to be a model and would like to model for some of the ‘great’ dolly fashion houses one day. Hello fashionistas! It’s 2016 and I’m here to share my personal new year resolutions (which Michelle was not kind enough to share with you all last week when it was actually January 1st…). And I know what you might be all thinking, what could a doll possibly have to have resolutions about or changes that she might want to make in her life and it’s really quite simple. 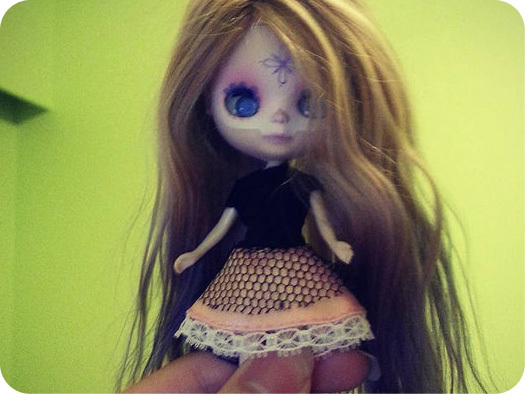 Just because I’m a doll does not mean that I don’t have goals too. That’s elitist. Or something. Humanist? Discriminatory against dolls? Don’t be dollist. #2 – Making sure that Michelle remembers to buy me something new at least once a month. That isn’t something new for the entire family, for me only. Full stop. I’m still the Queen around here not “Princess” Prim, thanks. 2016 is the Year of Sophie, and I won’t let Michelle forget it. 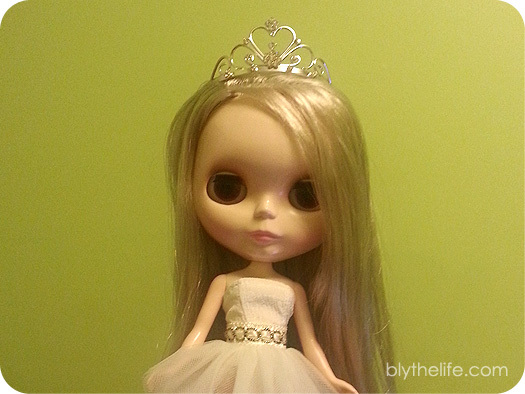 Sophie’s wearing: dress/Dollies Love Dresses, tiara/unknown. Michelle likes to think I’m spoiled because I like having new things. But I don’t agree with her because everyone likes having new things from time to time. I just happen to like to have new things more frequently and I don’t think there’s any harm in that. While the weather has not been particularly snowy this month (contrary to popular belief, not everyone in Canada has to deal with a metre of snow during December or has a dog sled team at their beck and call – it’d be so neat if we did though, provided they don’t chew on shoes), I still enjoy wearing wintery fashions because it’s the proper season for it. If you’re not going to wear cute sweaters or big coats, when else can you? What I love the most this holiday season is cute toques. I get Michelle to make me things by batting my eyelashes at her and by reminding her that she moved in 14 sisters around my age, along with two Middie and 3 annoying pipsqueaks without consulting me. There are perks to being the first one here. 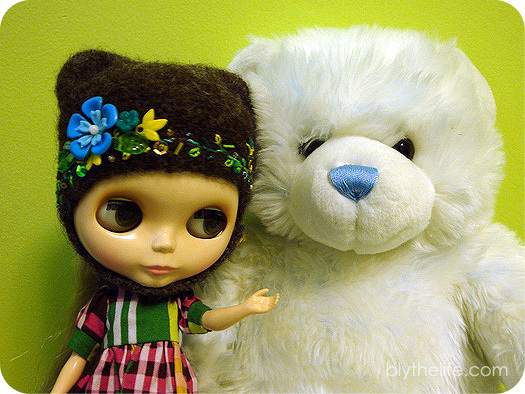 I just love my winter head gear because it means being fashionable and warm – which are two very important things (and in that order!). Sophie’s wearing: helmet/Eurotrash, (top) dress/Plastic Fashion, (bottom) dress/Re-Ment. Top row: Simply Peppermint stock, Barbie, Jackie Ramone stock. 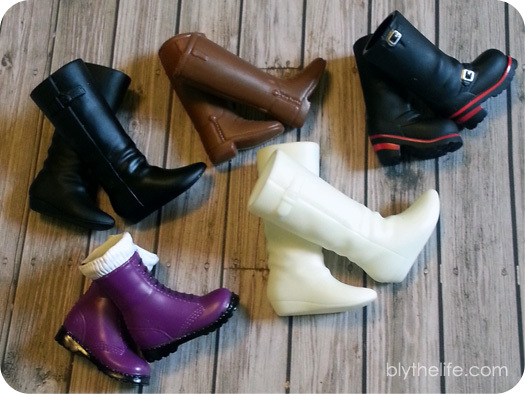 Bottom row: Liv Doll stock, Simply Lilac stock. This summer we got hooked on Game of Thrones. Winter is Coming isn’t true for right now though, Autumn is Coming! And it’s the most wonderful time of year for fashion – one of the people that Michelle is working with right now has an amazing fashion magazine for humans and I want to get a copy for myself so I’m aware of all the new fashion trends and so I can start making a wish list of what I want. 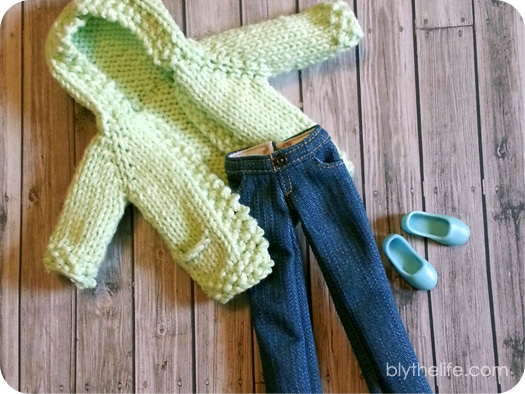 Cardigan by chelleshocks, jeans by puppy52dolls, shoes unknown. What do I love about autumn? Wearing handknits! Cardigans and sweaters are the way to go! Jeans and comfy pants are a fall necessity. I love a really great pair of jeans and they look even better with a pair of cute boots – because what’s an outfit without some boots! 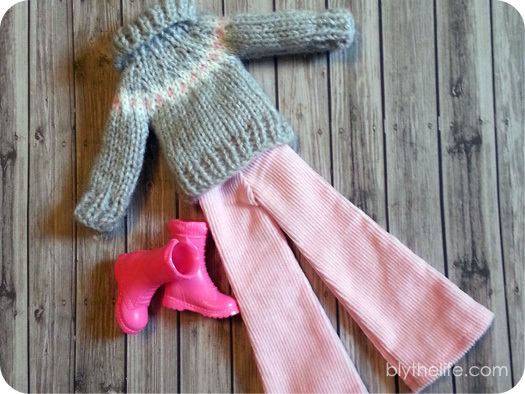 Sweater by chelleshocks, pants by Blythe Couture, boots by Jemgirl Creations. And yes, I do wear pink. Don’t tell Eden though, okay? Pink is a great colour for this fall! What are your favourite autumn pieces to wear? However, I would still very much appreciate it if you, Rudolph, and the rest of your reindeer gang could be very kind in sending me some sort of ice floe. I’d still like to send Eden and Prim out into open waters on one. Sophie’s wearing: dress/Dollies Love Dresses, tights/Cool Cat.